The Mississippi State University Extension Service has been around all that time and even before, Walker remembers. When he was in high school, he kept feeder pigs, and he recalls agents coming out to his place to look at them. When his dad discovered insects attacking his pines, the Extension agents came to the farm to inspect the timber. Like many other commercial stocker producers around the state, Walker mostly buys fall-born calves weighing around 600 pounds. Because their frames are larger and their weights are heavier than spring calves, they rely on grazing hay through the short Mississippi winter until high-quality forage comes available. Cattle are sold the following summer when they’ve reached about 1,000 pounds. Most recently, Walker participated in an herbicide-application certification program led by local Extension agents. He emphasized the importance of using only the “right” chemicals—ones that won’t harm his cattle or his fishing ponds. Being certified protects him as a cattle producer; the animals can be tracked if needed. In some ways, diversification is Walker’s way of life. Along with keeping up with the herd, he volunteers with the local fire department, teaches Sunday School at the church where he’s a deacon, and delivers input on the Cattlemen’s Association and Farm Bureau boards. Walker also grows and cuts more than 100 acres of hay adjacent to the land where his approximately 80 head of cattle forage in Dry Creek, a few miles outside Mt. Olive. 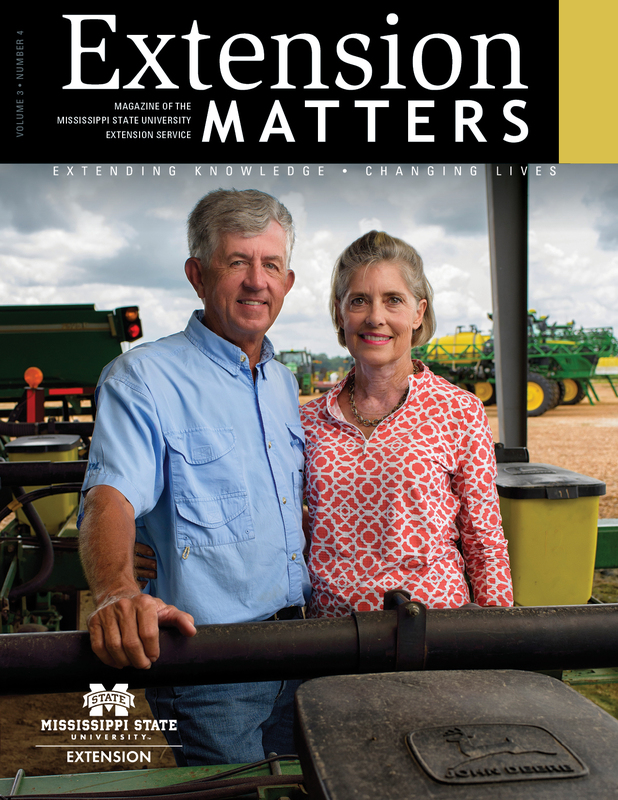 Though he’s now retired from a decades-long career as an electrician, Walker continues his partnerships with fellow cattle producers, the Covington County Cattlemen’s Association, and Extension. To make the community the best it can be, people must be willing to work together, and Virgil Walker has spent a lifetime linking his own success to the people around him. He opens up his acres to kids who’ve never visited functioning farms. He ensures volunteer firefighters have the equipment they need to save lives and remain safe themselves. He counsels teens who are considering dropping out of school. He assists neighbors with their farming needs, including baling hay or vaccinating cattle. He grows fruits and vegetables that he shares, free of charge, with members of the community. He helps coordinate the annual Covington County blood drive. He shares his life experiences and knowledge on numerous community advisory committees, including the county’s Farm Bureau Board, its 4-H Advisory Council, and its Cattlemen’s Board. He serves on councils and committees at Macedonia Missionary Baptist Church in Mt. Olive and other local churches.